Our pets are not immune to illness and this includes chronic and acute diseases that require a change in diet. The kidneys are precious organs that filter out toxins from the body. Unfortunately, they are also prone to diseases and chronic illnesses that are irreversible in nature. Nevertheless, improving the quality of life for cats who suffer from kidney disease is possible thanks to specially formulated diets that were created to meet their different dietary needs. These diets are made with less sodium and protein and contain ingredients that are beneficial to these versatile organs. If your beloved cat suffers from this disease, then a change of diet is in order. Our guide below showcases the best cat food for kidney disease including dry and canned options so you can choose the right formula for your feline companion. 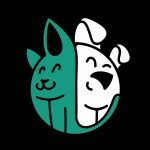 First on our list is none other than Hill’s Prescription renal health dry food and its goal is to provide a wholesome diet for aging cats with kidney issues. Hill’s Prescription was made with your pet’s wellbeing in mind and that is why it has less protein than the average cat food and low phosphorus to relieve pressure on the kidneys. It also has less sodium to keep blood pressure under control. Hills k/d cat food was formulated by both vets and nutritionists in order to lend a helping hand to aging kidneys and to prevent your cat from losing weight. After all, loss of kidney function can result in weight loss and a diminishing appetite for food. Hill’s Prescription is rich in omega-3 fatty acids and B- complex vitamins. This combination is ideal for aging cats who lose essential minerals due to frequent urination. If you have a stressed feline on your hands, then the VetriScience Laboratories bite-sized chews are exactly what you need to support and maintain his health. The cocktail of ingredients found in this specialty product includes natural extracts that support energy production and help the kidneys remove toxins from the body. One of these extracts is the astragalus root powder that supports the immune system and kidney circulation. Another natural ingredient with detoxification properties that contributes to normal fluid retention is the nettle seed extract. Cats with dysfunctional or stressed kidneys also need their fair share of vitamins. This product has two vitamins that support metabolic activity and act as an antioxidant in the body. Vitamins B1 and B2 are antioxidants with water soluble qualities that facilitate their absorption by the body. Other ingredients include vitamins B12, B6 and folic acid as well as minerals such as potassium. The Blue Buffalo natural kidney diet for cats is a blend of vitamins, minerals and antioxidants that provide your feline with the essential daily nutrients he needs in order to stay healthy. This premium dry food is cold formed in order to preserve the quality and effectiveness of its ingredients. It was also made with high quality chicken and low protein to help reduce stress on the kidneys,. This Blue Buffalo formula does not contain any grains and has controlled levels of minerals as well as glucosamine, chondroitin and DHA. Wellness Complete Health natural grain-free wet food is a moisture rich formula specially made for adult cats. This hormone free recipe is made with premium proteins and a combination of fruits and vegetables including sweet potatoes, carrots, blueberries and cranberries. The cocktail of essential vitamins, minerals and fatty acids provides your feline with balanced nutrition on a daily basis. Other ingredients include protein rich turkey and flaxseed. Both components contribute to a more healthy skin and coat. Royal Canin feline renal support dry food offers felines with chronic kidney disease tasty kibble that caters to their daily dietary needs. Their premium kibble is available in a variety of textures and flavors to encourage felines to consume their daily dose of antioxidants and fibers that fuel the body and maintain the health of the immune system. Cats who suffer from digestive problems such as diarrhea or constipation will also benefit from the fiber content found in this dry food. Royal Canin offer their renal support cat food in both wet and dry form so your feline can have more variety when it comes to her meals. The Hi-Tor Neo Diet from Triumph Pet Foods was custom made for felines who suffer from renal disease. Its low protein formula contains less sodium and phosphorus when compared to regular feline food. No colors or artificial flavors were used in the making of this product and adult cats can benefit from this diet as well. Hill’s Prescription Diet chicken canned food is another great product that can improve the quality of life for felines with kidney disease thanks to its wholesome formula. This diet is made out of a cocktail of nutrients and vitamins including vitamin B 12, vitamin D3, taurine as well as fish oil. Other ingredients also play a role in supporting the kidneys, especially in the case of aging cats who need to maintain a healthy weight. Additionally, this wet food consists of high levels of essential amino acids and is clinically tested and developed by both vets and nutritionists who are invested in the health of felines and want to improve their quality of life. 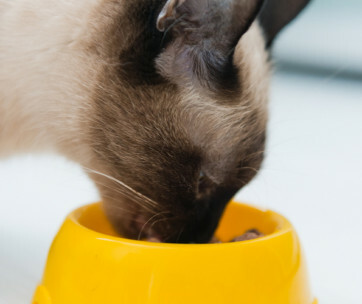 Appetite issues might arise if you have a cat with renal issues in your household. Royal Canin feline renal support dry food is the solution to this problem since it is highly palatable and easy to digest. This recipe is filled with healthy ingredients such as folic acid and a variety of vitamins that were carefully selected to ensure that your cat receives his required dose of nutrients that will help his body cope better with this chronic disease. Kidney support can make a world of difference to aging cats who need a more specialized yet balanced diet in their daily lives. 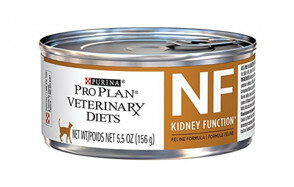 The Purina NF formula is a low protein formula with equally reduced levels of sodium and phosphorus. Diet management is very important when it comes to felines with chronic disease, hence the need for this Purina vet kidney diet for cats. This canned food is suitable for hepatic disease linked to brain damage and any health condition that demands low sodium intake. Our final pick is the Royal Canin morsels in gravy canned food. This formula is easy to digest and provides your feline companion with a boost of energy without harming his kidneys. Serving your chronically ill pet a diet with low phosphorus reduces the stress on his renal system. It also helps prevent other diseases such as hyperparathyroidism from befalling chronically ill felines. Low levels of protein contribute to less uremic production as well. Uremic is a toxin that accumulates in body fluids of animals who suffer from chronic kidney disease. The Royal Canin premium morsels are designed to attract the taste buds of your cat, so both their smell and texture are appealing. This formula helps aging cats regain their energy and encourages them to consume more calories as well. Switching your pet’s diet from regular to renal support cat food can bring up many questions concerning its benefits and its long-term impact on your cat and his overall well-being. The following guide will help answer some of these questions. The relationship between protein and health is undeniable. Healthy cats need to consume protein in order to survive and this applies to all felines who are carnivorous in nature. The body uses protein to fuel its organs and to produce energy needed to keep the body running like a well-oiled machine. First, protein is broken down into organic compounds called amino acids, resulting in waste products that are then transported to the kidneys where they are filtered out of the body. Feeding your cat high quantities of protein means that his kidneys have to work overtime in order to flush out the toxins and waste products from his body. Here is where kidney disease diet matters when it comes to chronically ill pets because feeding your pet a low protein diet will put less strain on the kidneys. Choosing a premium source of protein for your cat becomes twice as significant once he is diagnosed with kidney disease. This illness is known for causing fluctuations in appetite as well as weight loss, so you need quality protein to help mitigate the negative health effects that accompany this chronic condition. Chicken, fish and lamb are three great sources of high quality protein that you can look for when shopping for renal support pet food. Opting for premium protein will benefit your feline in the long run and enables the body to cut back on digestive waste. Making the transition from regular pet food to low protein cat food can vastly improve the health of your aging cat. Just make sure that you consult your vet before marching ahead with your diet changing plans. Diet management has a powerful impact on kidney disease in both its acute and chronic forms. Cats who suffer from this renal disease can live longer and have zero uremic episodes if they are fed a diet with a formula that was especially created with the kidneys in mind. The culprit behind this disease is not always easy to pinpoint. However, early detection can help both you and your veterinarian choose the right treatment method to tackle this terrible disease. Old cats are typically diagnosed with this illness and have to spend their senior years burdened by it. A senior cat suffering from kidney disease will drink more water and urinate frequently as a result. In contrast, acute kidney disease does not target a specific age and early diagnosis and treatment can help cats fully recover. It can also happen suddenly and without any warning due to exposure to poison, trauma or if your cat suffers from a hidden heart condition. Therapeutic kidney diets have several things in common including vitamin supplements, low protein content as well as small quantities of both sodium and phosphorus. Both elements can have adverse effects on kidney functions since their presence in the bloodstream in large quantities reduces the ability of these organs to remove water and causes toxins to remain trapped inside the body. Several studies have shown that controlling the levels of phosphorus in the blood via diet management can slow the progression of chronic kidney disease. Therefore, choosing a low phosphorus cat food for your feline will not only improve his condition but it can also prevent the onset of other diseases. Secondary hyperparathyroidism is one example of such a disease that occurs when the parathyroid gland releases too much hormone in order to increase the amount of calcium in the blood. Too much calcium in the kidneys leads to high concentrations of phosphate. This, in turn, can cause more compilations such as heart disease and joint paint. Protein consumption comes at a price, and this price is none other than the waste produced as a result of the body breaking down protein into amino acids. This process releases toxic substances into the blood and the kidneys are responsible for flushing these harmful toxins out of the body. Cats suffering from kidney disease will have a hard time getting rid of this waste and may lose their appetite for food and become tired as a result. 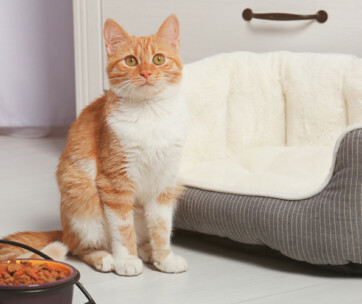 Introducing a low protein diet to your feline can have a domino effect on its body since less protein means less toxins released into the bloodstream and this eventually reduces the stress on the kidneys. The kidneys are responsible for many things including balancing water and activating vitamin D. Too much sodium in the diet disrupts this water balance and causes the excess sodium to remain inside the body. This is far from healthy, especially when it comes to cats who suffer from chronic kidney disease. High sodium levels also cause an unwanted domino effect inside the body, resulting in high blood pressure, fluid retention and extra pressure on the kidneys that are already in bad shape. Kidney diets supplemented with omega-3 fatty acids from fish oil have a positive impact on the health and wellbeing of aging cats since they reduce the inflammation of these organs and help slow down the progress of this disease. Most premium formulas like the ones listed above will have EPA and DHA mentioned in the list of ingredients. EPA stands for eicosapentaenoic acid and DHA stands for docosahexaenoic acid. Kidney disease diets are available in cans and are either sold in pate form or as morsels swimming in gravy. Cats who suffer from frequent urination and a diminished appetite can benefit greatly from an increase of moisture in their diets. 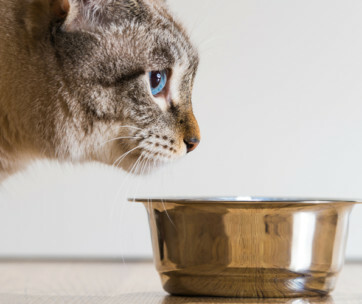 High moisture content allows your feline companion to stay hydrated, especially during summer when high temperatures can take their toll on chronically ill senior cats. Regulating the amount of water in the body is one reason why healthy kidneys are so important. Cats with kidney disease do not have this luxury and are more prone to dehydration. Losing water during the day and failing to stay hydrated can lead to unwanted complications. Your goal is to encourage your cat to drink for the sake of his health and your peace of mind. Luckily, there are many things that you can do around the house to prevent dehydration from occurring. The more the merrier, so fill up numerous bowls with fresh water and place them in strategic corners around the house. Invest in a water fountain, especially if you have more than one cat in your household. Running water is very enticing for felines who love nothing more than to drink straight from the tap. Moist canned food is always a great option due to its high moisture content and tasty gravy. Wet food can be a lifesaver in summer where your old cat will need all the hydration he can get. Frequent urination can cause your cat’s kidney situation to worsen. Giving your cat a balanced electrolyte solution to keep him hydrated can be the only alternative to drinking from a bowl. This solution requires the use of a syringe and can be administered by the vet. Q: When to start a therapeutic kidney diet? A: Being proactive when it comes to feline health can lead to positive outcomes. Early diagnosis of kidney disease makes it easier to introduce your cat to his new low protein diet and the treatment process itself is much more tolerable when the disease is still at its early stages. Experts recommend starting the therapeutic kidney diet once your feline has officially been tested and diagnosed. 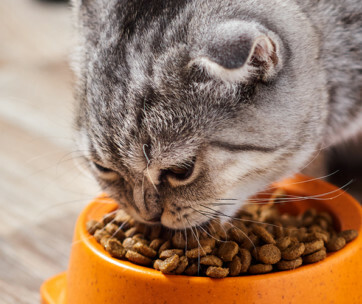 Switching to a brand new diet can be daunting to some cat owners but it is necessary in order to maintain the health of their feline companion. Q: How to introduce a therapeutic kidney diet? A: Getting your cat to eat his new kidney diet food is easier said than done. You are going to need both patience and perseverance in order to accomplish this goal, especially if you have a finicky eater on your hands. Senior cats are also more resistant to change, so gradually exposing them to their new food will make this situation a lot more easier. This step may take a few days or more depending on your feline. When preparing daily meals, make sure that you mix a small amount of his new kidney food with his old food before offering him his bowl. Add more of his new food with each passing day until the new diet finally replaces the old one. Nowadays, you can find premium options that make this transition less challenging. Consider both the flavor and texture of the food you buy because certain foods are more attractive to cats than others. You can mix things up by offering your feline several options to choose from. 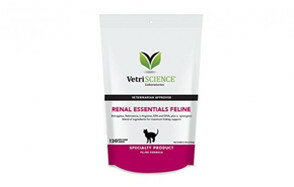 Meaty chunks in gravy, flavorsome pate and regular kibble are all available as renal support formulas. 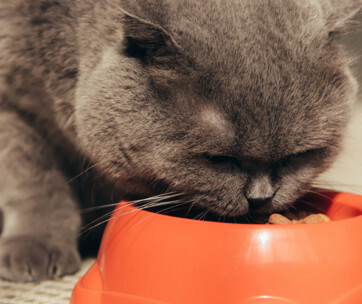 Serving this food at room temperature can make it more appealing for your cat. Q: How often should I retest blood values? Cats who are diagnosed with kidney disease have high levels of urea and creatinine in their blood. Your vet will recommend the necessary course of action and treatment depending on the creatine level results. If these levels are below 2.8, then your cat will need to be retested in six months. Nowadays, there is a blood test that allows vets to catch kidney disease at the early stages before it gets the chance to wreak havoc on the body. This SDMA test is considered to be more reliable than creatinine because creatinine is unable to identify kidney issues until almost 75 percent of kidney function is lost. Moreover, SDMA increases earlier than creatinine in dogs and cats with kidney disease. Hills Pet is a company with decades of experience in pet nutrition and this premium dry food belongs to their excellent range of kidney support diet for cats. 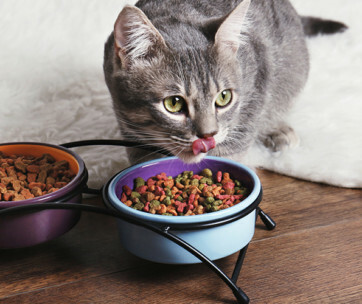 Adult cats who suffer from this disease can become finicky eaters with a fluctuating appetite. This kibble was especially formulated to increase calorie intake and to stimulate the appetite of aging felines who are prone to weight loss. Building muscle mass is incredibly important during this stage and this clinically tested formula has enough amino acids to help the body with this process. Hill’s prescription diet also contains omega-3 fatty acids, L-carnitine in addition to B-complex vitamins. 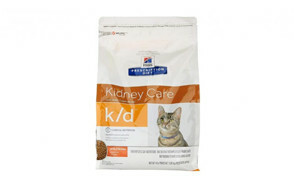 Low levels of premium protein and sodium contribute to the overall wholesomeness of this kidney diet for cats. All of the above features make this Royal Canin product our top pick thanks to the support and protection it offers to both the heart and kidneys.